My 2 and a half year old son woke up one morning with a fever and a red, swollen eye. After a trip to his pediatrician we were told he had pink eye. The nexy day the infection was worse, and so was his fever, so we took him back to his doctor where we were told he now had cellulitis. The next morning the infection was terrible and my son's fever was up to 105 so we called his doctor. We were told to give the medication a chance to work, but as a mother my intuition told me it was mch more serious so I took my soon to the emergency room. At the ER he was immediatly admitted for a serious cellulitis infection in his left eye and that evening his first blood panel came back showing low counts. 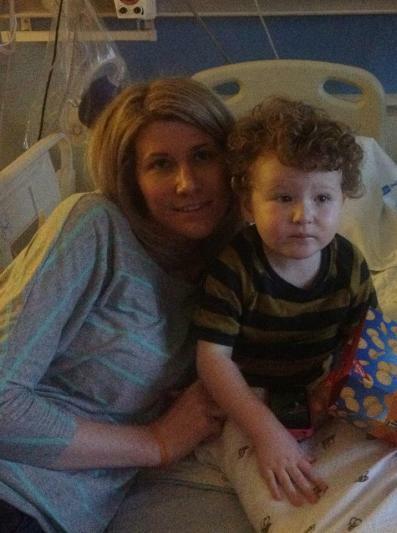 By the next day the doctors had told me he might have Leukemia and my husband and I requested for my son to be transferred to UCLA Mattel Children's Hospital for a diagnosis. My baby was diagnosed with Actue Lymphoblastic Leukemia (ALL) b-type on August 3rd of 2012 and he began chemotherapy immediatly that day. 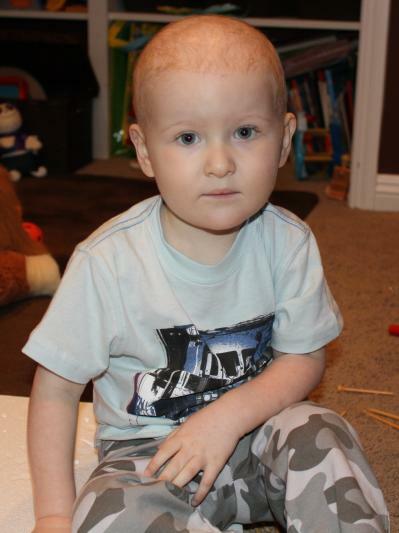 He has received several different types of chemo, including chemo injected directly into his spine, as well as a PICC line and later a surgery to put in his port. 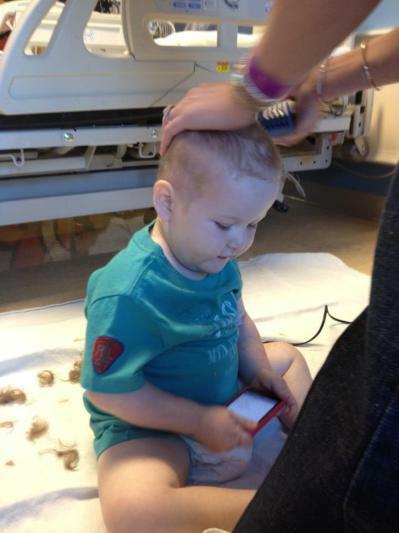 He was officially in remission after just one week of treatment but still had years of treatment left to endure. He completed his induction phase of treatment during his month long stay at Mattel and his eye infection was finally diagnosed as a rare bacteria found in sand and water. 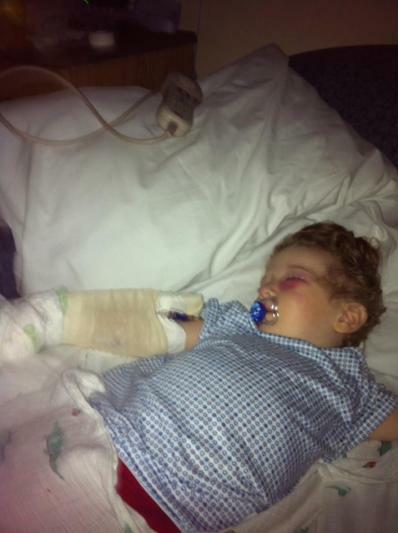 Due to his compromised immune system at the time the bacteria took over. 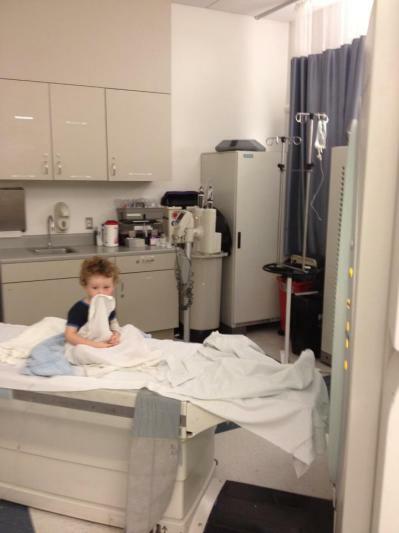 Currently in the second most intense phase of treatment, my son began his mini-induction just this week. He will complete this phase over the next 2 months then remain in maintenance for the 3 years following. He always has a smile on his face and is laughing and running up and down the halls at clinic. 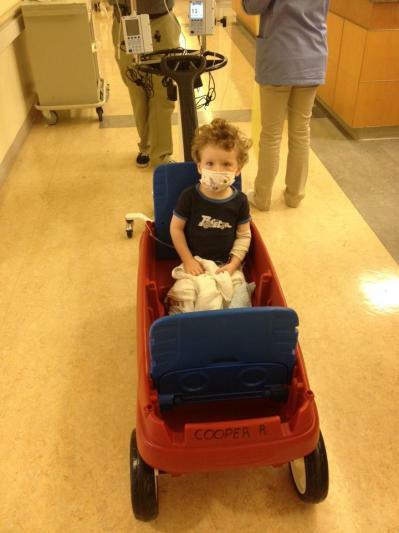 He is truly our hero and continues to battle his disease with laughter and bravery. We are so happy we chose to bring our baby to UCLA and Dr. Kempert, Dr. Moore, and all of the other doctors, nurses, and staff have been so amazing. These wonderful people are saving our sons life and for that there are no words that can express the amount of our gratitude.